1. 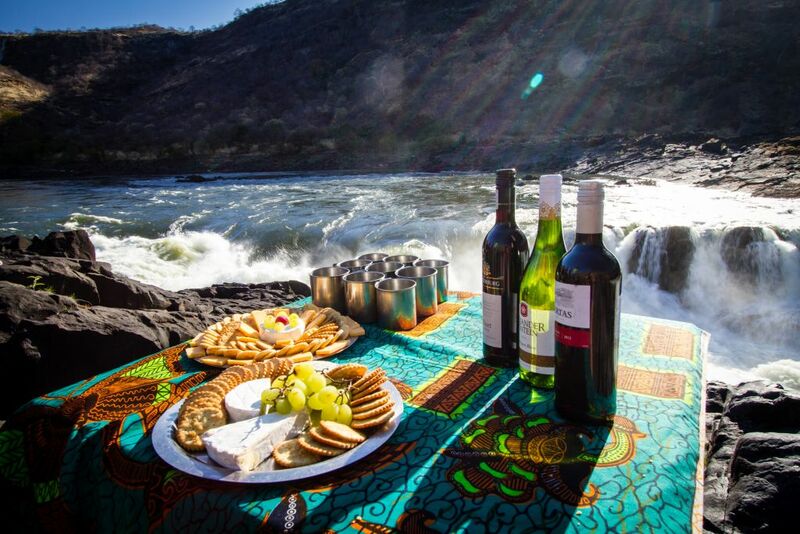 Wine and Cheese Night At Moemba Falls: There are few better places where you can appreciate fine cuisine, than over looking a Grade VI (commercially un-runnable) waterfall. 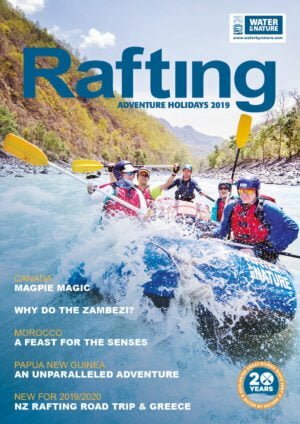 Our 3rd night camp sees us stopping close to hear and enjoying the opportunity to relax and enjoy the surroundings after a day of awesome Zambezi rapids. 2. Ghostrider Rapid: The last and biggest rapid of the trip, featuring a series of three large waves. Unlike many other Zambezi whitewater rapids such as Number 18 (Oblivion) and Rapid 5 (Stairway to Heaven) Ghostrider is a long but fun rapid, being around 0.5 km long. 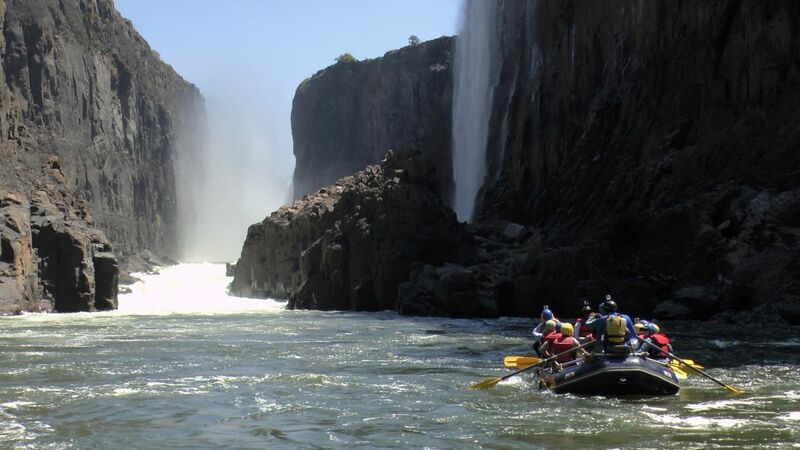 Zambezi Blast and Ultimate adventure trips finish immediately after this rapid with a helicopter flights back over Victoria Falls to your hotel. 3. 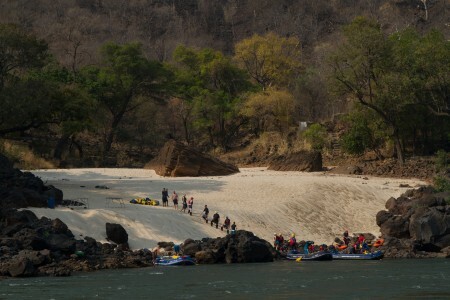 Devils Pool on Livingstone Island: One of the best activities in Livingstone. This operates during the low water season (coinciding nicely with our whitewater rafting vacations) from August until November. Enjoy swimming in the ultimate infinity pool on the edge of Victoria Falls whilst enjoying breakfast, or even afternoon tea, depending on the time of day you choose. 4. 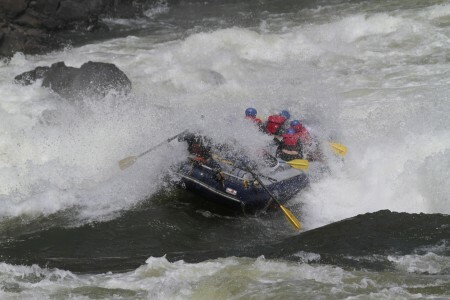 Stairway To Heaven Rapid: Many of our guests describe the feeling as they see this fabulous rapid as like ‘dropping off a 2 story building’ and they are not too wrong. Far from the early days of the first descent by SOBEK when they actually portaged around this rapid, thinking it too big to run. 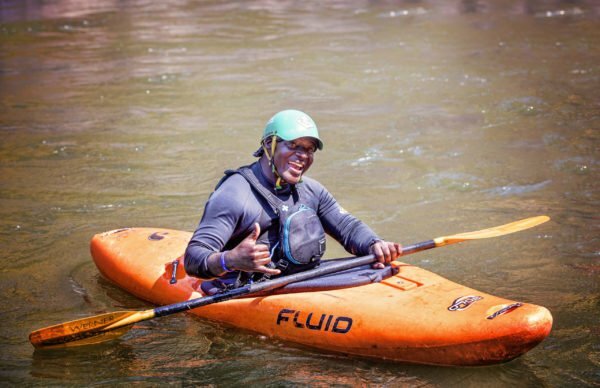 Now with better rafts and safety techniques, this amazing rapid is run on a daily basis in the low water season. 5. Staying At Taita Falcon Lodge: Many of our guests feel like this is like spending another night on the river, but in a lovely hotel. This lodge is perched well above the Zambezi, over looking Rapid 17. The gorgeous chalets are situated privately with comfy beds and lovely bathrooms in thatch. Your hosts Faan and An Marie are wonderful hosts putting on a night to remember. 6. Camping at Bobo Beach: Our second night camp on the Zambezi is a massive expanse of sand overlooking the river but with a big view of the sky to enjoy your “million star hotel” view. The second day of the Zambezi we start rafting with all of our gear including gear raft etc, so it feels like we are far more on our own. 7. A Safari to Elephant Valley Lodge: As featured in our most popular trip on the Zambezi, the Zambezi Blast, you’ll get to relax in stunning surroundings, overlooking a watering hole in Botswana. During the day you’ll get to travel around in 4 X 4 vehicles with knowledgeable guides and get to see some of the best game in Africa, Leopard, lion, giraffe, zebra, elephants and prolific bird life are regular sightings on our departures. 8. Helicopter Flight From The River & Over Victoria Falls: We include this in all multi day Zambezi Rafting trips, where we fly back from Ghostrider, on our 4 day Zambezi Blast Rafting Trips or Matetsi River mouth on our 7 day Mighty Zambezi trips. 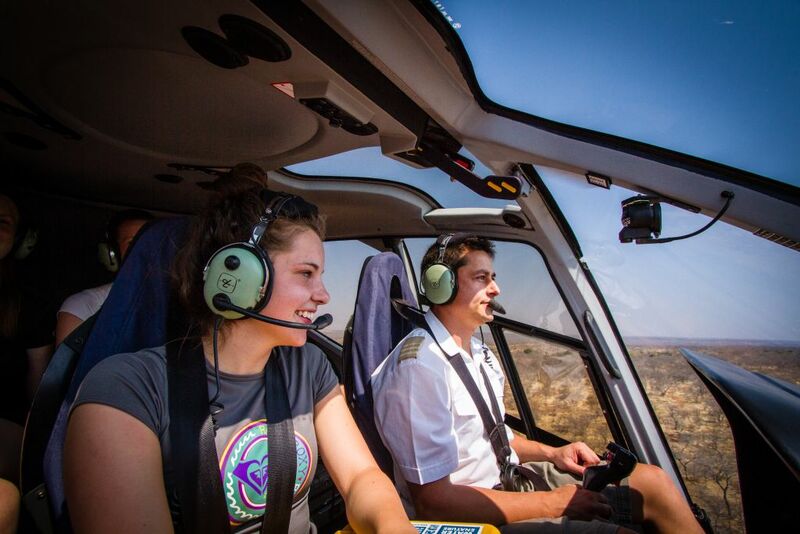 On occasion we may use the Bell 205 Huey with the doors open, which continues to be a massive thrill for people. 9. 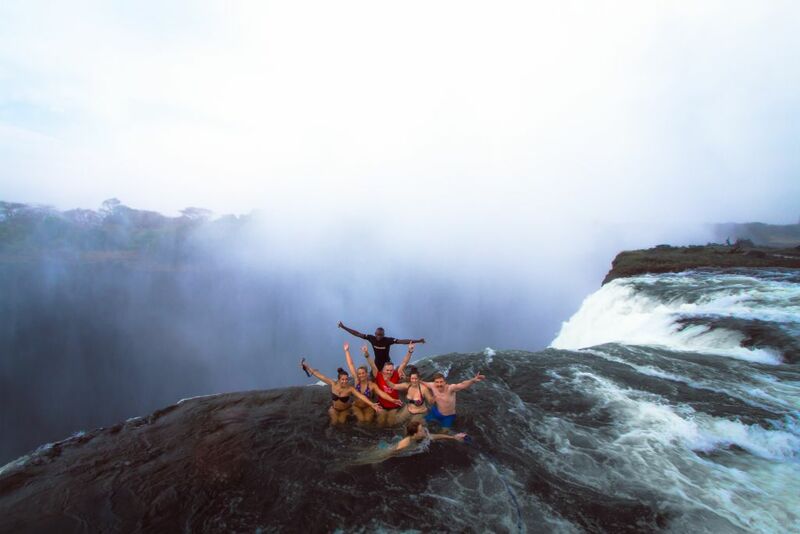 Starting The River Trip Beneath Victoria Falls: No matter how many trips we do on this wonderful river, having lunch and going for a swim beneath Victoria Falls is something VERY special. As you look up the chasm through the “Minus” rapids, the honor to be in such a place truly sinks in. 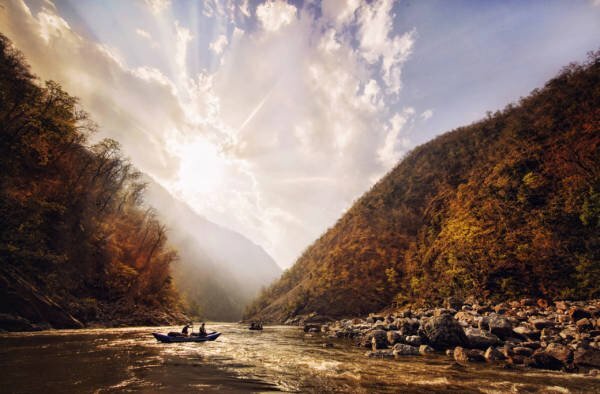 10: Chocolate Cake Cooked On The Riverbank: This has turned into quite the competition amongst our guide teams. Who can make the best chocolate cake? Dropping in extra pieces of chocolate into the middle of the cake, peaches, or even glace cherries. The guys take their cooking VERY seriously! Who needs an excuse to eat cake? 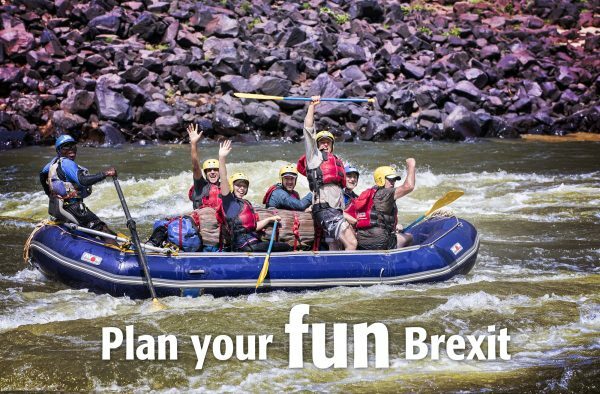 With the Zambezi being threatened by a hydro electric dam, ensure your trip to this world class river is full of surprises.